A day at Nat Archives, doing research for a project I’m doing on political/economic history, a swim at the Freyberg (1km) and Chrissie party at the Toddler’s creche: back to the home office and tidying up for the day. 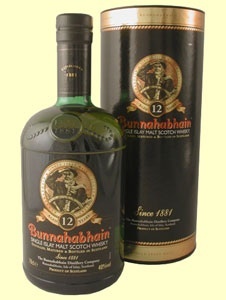 Nice new discovery, this stuff in the pic: Bunnahabhain. It’s one of those fine Scottish single malts very carefully crafted so it is impossible to pronounce the name after one glass of the stuff. The correct pronunciation involves sounding as if you are a gravel crusher clearing its throat. Great way to kick back at the end of the week: glass of this stuff, and fired up the stereo. Mine’s got a five CD rotate so bunged in five different CDs and toed the ‘shuffle’ button. The Bunnahtahtauhahgraig or whatever the stuff is called is kicking in nicely now, thanks. So you are not into the Spice Girls then Rob? It’s funny you should say that, Cactus.No, I’m not into the Spice Girls.It’s just funny that you should say that.i did see some of the Spice Girls movie. On a flight to London. It had Barry Humphries in it. Sagenz,the Liquid God is in the next post down – Lagavulin. Truly transcendental.